Little Falls is a city of hills, and the Municipal Golf Course rests atop the highest, offering rolling fairways, magnificent greens, beautiful flowers and evergreens, and a stunning view of the valley below. 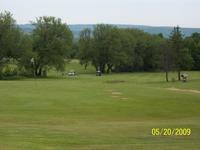 It is the only municipally-owned golf course in the area, which allows us to keep membership and green fees very affordable. 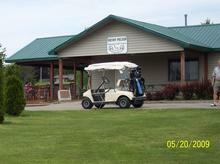 The pro-shop and clubhouse are ready to make your stay enjoyable and encourage you to come back. If you visit us once, you will want to return. The signature hole is number five. A par four that funnels into a tight landing area, with out of bounds on either side. Players must lay up and play safe, leaving a long second shot to the green, or opt to drive long and straight, leaving a short approach to the green.